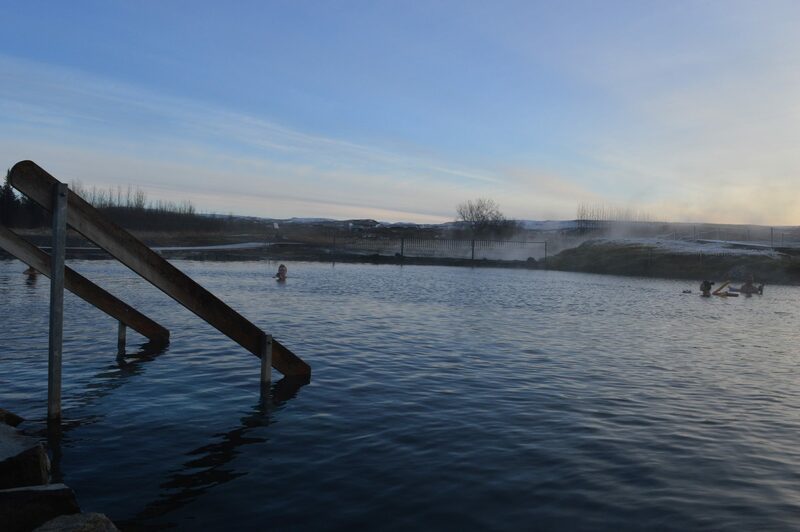 You simply can’t visit Iceland without experiencing the geothermal power of the country and there’s no better way to do so than to visit one of the hot springs. 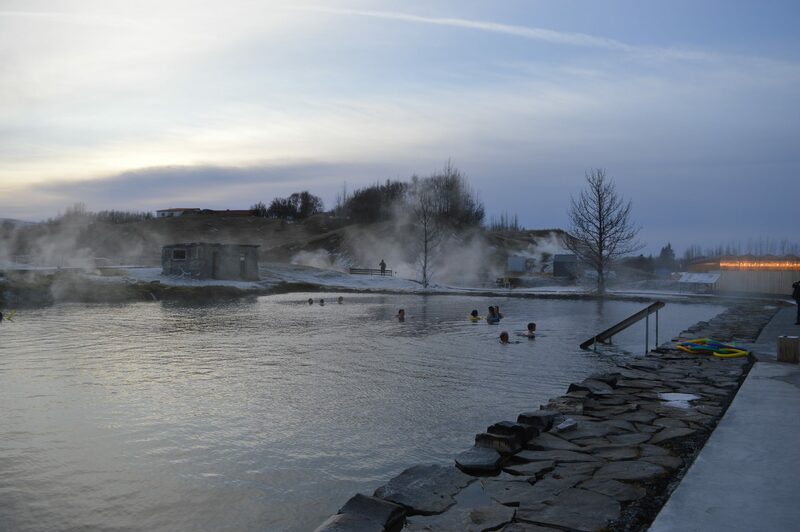 Being a volcanic country there is no shortage of hot springs but the one that really appealed to us was The Secret Lagoon located in the small village of Fludir. 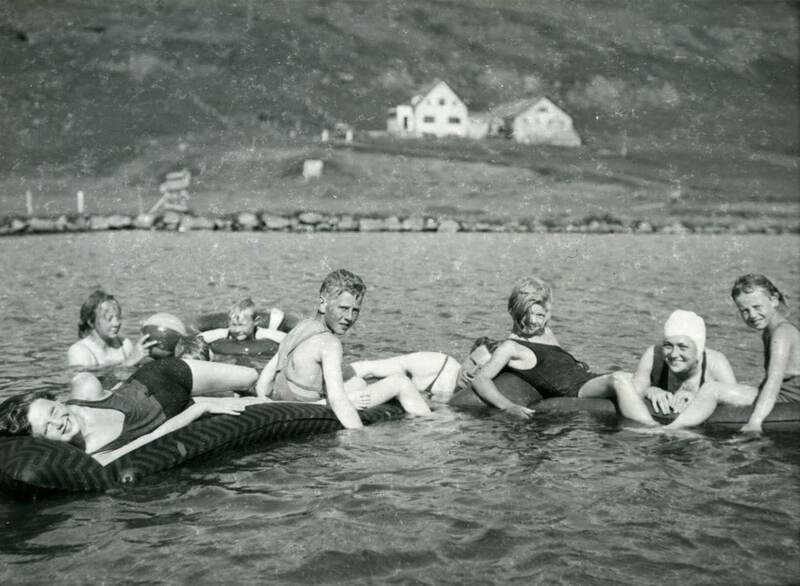 The Secret Lagoon was Iceland’s first swimming pool which can be dated back to 1891 with the first swimming lessons taking place here in 1909 and continuing until 1947 when a new pool was opened. 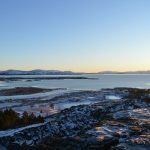 After this the lagoon fell into a state of disrepair until it was renovated and reopened to the public many years later so a visit here gives you something with a little history and culture thrown in. 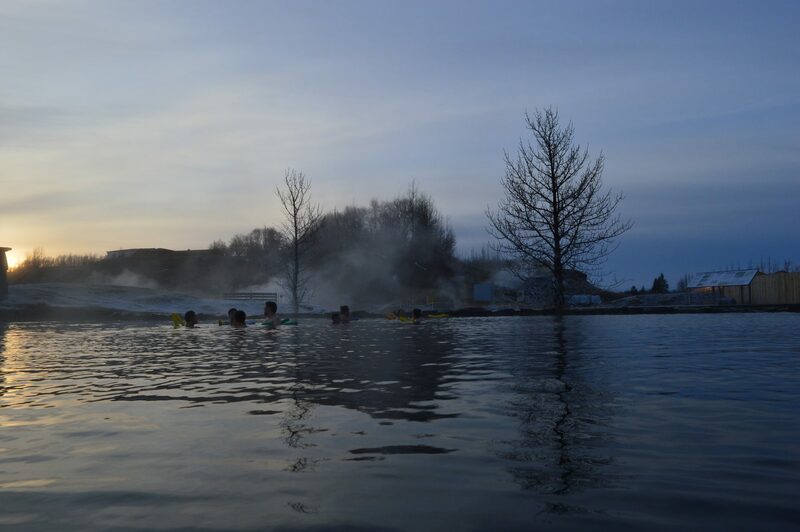 Everything that we had read about The Secret Lagoon was that if you are looking for an authentic geothermal experience this is the place to head to and I’ve got to say, we weren’t disappointed. 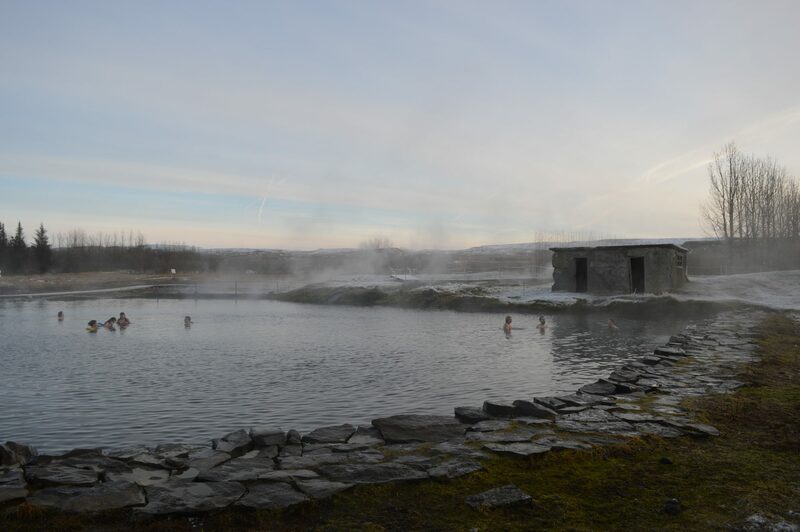 The pool is situated in natural surroundings, with steam rising from the 38-40 degrees C water in every direction. This creates a really special and relaxing atmosphere to take everything in and enjoy the experience. 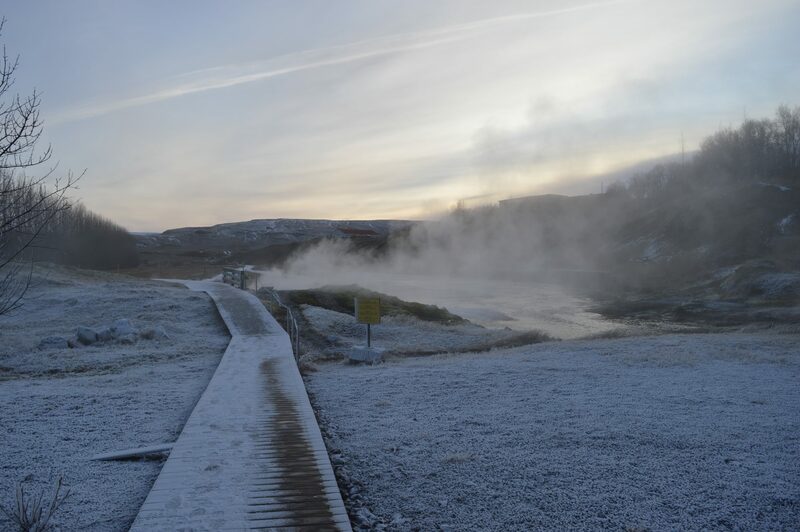 Not only that but there’s a Geysir which erupts around every 5 minutes or so right alongside the water edge which adds something extra to your visit! 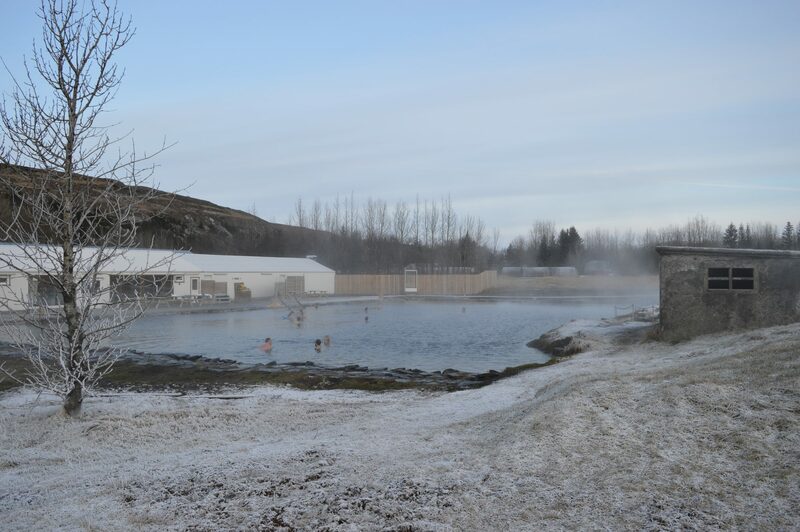 At the hot spring there is a modern changing room facility with free lockers and towels provided for you along with toilet facilities. If you are a little shy then the only thing worth noting is that the showers are communal – they encourage you to strip down to avoid contamination in the water but this certainly isn’t compulsory. There is also a small selection of refreshments available (but not a shop) so you can grab some snacks and a coffee, certainly enough here for you to enjoy your visit. Around the water’s edge there are steps down into the pool, benches, and (frozen solid!) foam floats which were certainly popular on our visit to help you relax in the water! The water was around 1 metre deep across the entire pool and under foot it is pebble lined so is comfortable to walk around on. What I loved about The Secret Lagoon was that it wasn’t busy at all and didn’t feel even remotely ‘touristy’. During our visit I think there were only about 14 of us in the water in total so it was really quiet, spacious and relaxing – bliss. The day we went it was around minus 9 degrees C however and so the run from the changing room to the water was trying! Not only that but I made the mistake of dunking my head under the water which meant that my hair froze solid when above water! Not the best of ideas so I’d definitely recommend avoiding doing the same! 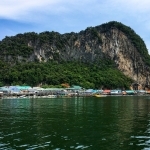 We stayed at The Secret Lagoon for around an hour and a half which was plenty of time as with the water being so hot we had to get out! Once you have had enough of the water the team here have built a path around the pool to explore the geothermal surroundings. 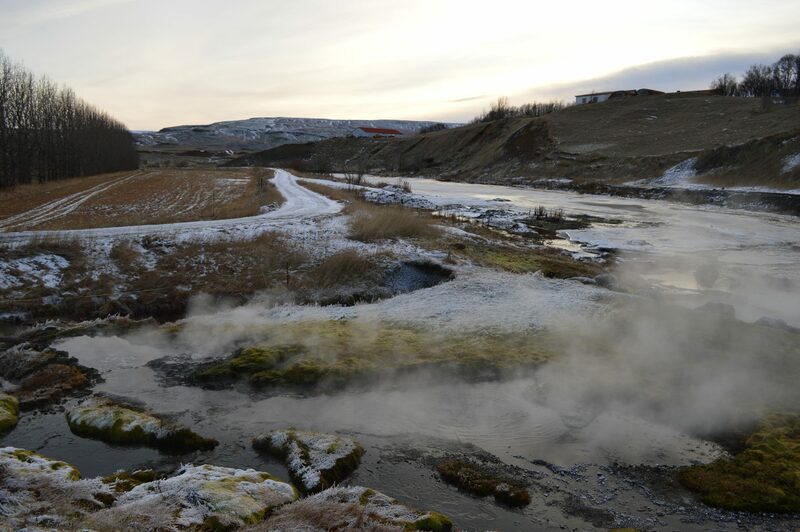 You can see a small geysir, a river and bubbling pools of water. 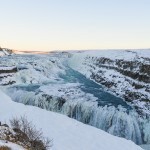 This makes for a great finish to the experience before making your way back to Reykjavik, we absolutely loved it. 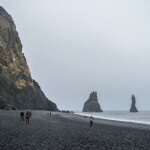 The Secret Lagoon is located around 1.5 hours outside of Reykjavik so a visit to The Secret Lagoon is going to be a 3-5 hour round trip as you’ll stop at the lagoon for around 1.5 hours. 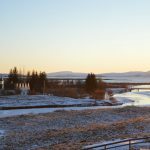 If like us you are staying in Reykjavik and are considering a trip here this one is going to take up nearly an entire day so you need to really consider what to prioritise during your short stay in the city. 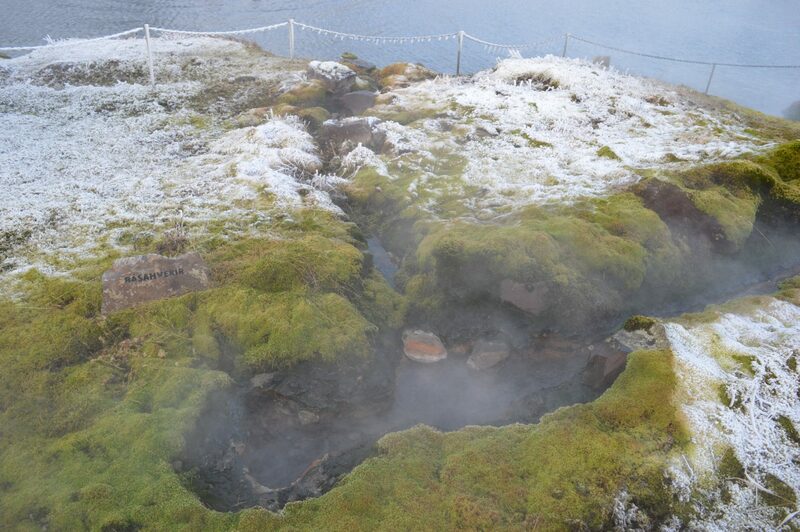 All of the marketing materials and brochures in Reykjavik are going to lead you to visit the Blue Lagoon. This offers a swim up bar, modern changing and showering facilities, a restaurant and plenty of beauty treatments – it’s basically a mini spa! For us however there’s just something a little, well, over-touristy about a place like this. A swim up bar just says to me “Brits abroad”, getting rowdy and certainly not presenting a natural geothermal experience which is what we were looking for. 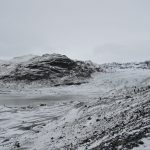 That may of course be a million miles away from the true experience however whilst in Iceland I wanted to experience something a little more authentic. 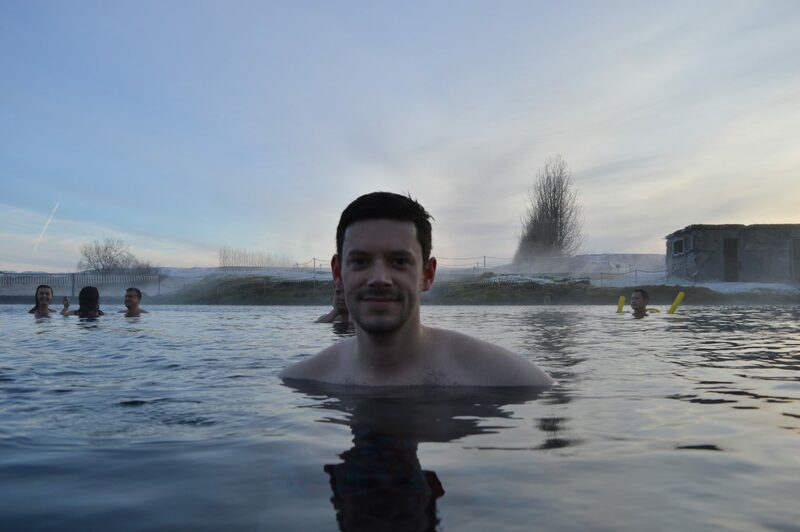 The Secret Lagoon was the perfect way for Sarah and I to experience Iceland’s hot springs. 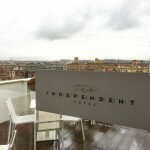 It wasn’t overly commercial and offered a calm and tranquil experience, true to its marketing in natural surroundings. 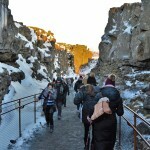 We absolutely loved this experience and would recommend that if you want something away from the tourist trap that is the Blue Lagoon, make this a must visit location during your Icelandic break. Have you been to The Secret Lagoon? Let us know in the comments below.